Air fares to soar in wake of ash crisis. Air fares are forecast to rise by more than five per cent this year in the wake of the Icelandic volcanic ash crisis and increasing oil prices. From a study made in the UK travelers can expect to pay an additional £1.8 billion or £48 each on average, according to figures from the Centre for Economics and Business Research. The study warns that fares are set to rise by 11.5% by 2012, adding £62 to the cost of an average economy flight from London to New York – from £518 to almost £580. The rises are predicted as carriers attempt to claw back an estimated £1.3 billion in costs due to the ash cloud disruption by the end of last week. It is believed that up to two thirds of the costs will be borne by European airlines. Most airlines were already struggling prior to the crisis, but this, combined with soaring oil prices, will have a knock-on effect on consumers as carriers are forced to pass on rising operational costs to passengers. Oil prices – the main cost factor for carriers and representing 33% of total operating costs – are up by more than 74% in the first quarter of 2010 compared to 2009. Additionally, increasing competition and falling demand mean that airline operators have struggled to remain profitable. Profit margins have been under pressure fro some time as established carriers had to adjust their business models following the market entry of low cost airlines in the 1980s. In Canada we will not escape these increases either and to add to the misery the new HST Tax due to come into effect on 1st May will increase the tax portion of the airfare. So if you have been procrastinating about booking that flight, DO IT NOW! before it’s too late to still get that deal. Ash Alert: Updated airline advisories. Air Canada advises that it plans to operate a full schedule of 40 flights from Canadian cities and the following destinations in Europe: London, Paris, Frankfurt, Munich, Zurich, Geneva, Rome, as well as Tel Aviv. Some airspace restrictions continue to be in place as a result of the spread of volcanic ash over Europe due to volcanic activity in Iceland. Operating schedules remain subject to change. 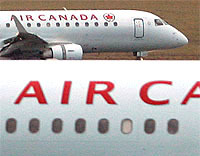 Go to http://www.aircanada.com for updates or call 1-888-422-7533. Air Transat Reports that all flights are back on schedule. British Airways Reports all flights are operating on schedule. BA have a customer webform for stranded pax. In an effort to repatriate passengers as soon as possible, British Airways has introduced a new webform on ba.com. The webform requires passengers who are still trying to get to their original destination and who have not yet rebooked or cancelled flights, to provide the airline with details that will assist in prioritising its flight schedule. Information submitted through the form will be used to understand where passengers are and also which areas the airline need to prioritize for extra flights or larger aircraft. Passengers are urged to use the form if they are unable to get availability for flights. KLM will operate all scheduled intercontinental destinations, and most of the European network, except a few early departures from United Kingdom and Norway, Sweden, Denmark and Finland. Go to http://www.klm.com for more information. Lufthansa Resumed normal operations on Thursday, April 22. Flights from UK airports will be able to resume from 22.00 this evening BST. Much of the UK airspace will re-open in phases, the Department for Transport said. “Most of the skies over the UK has been closed to commercial airliners due to the volcanic ash plume over the UK. The Civil Aviation Authority made the ruling to lift restrictions following increasing pressure from airlines. The CAA will continue to monitor the situation with tests both in the air and on the ground. “It will take time for flights to settle down to normal timetables. If you are hoping to travel, you should contact your airline before travelling to the airport,” the DoT said. There will continue to be some ‘no fly zones’ where concentrations of ash are at levels unsafe for flights to take place, but very much smaller than the present restrictions, according to the CAA. The Met Office advice is that ‘no fly zones’ do not currently cover the UK. “Making sure that air travellers can fly safely is the CAA’s overriding priority,” the authority said in lifting the ban after five days. “The CAA has drawn together many of the world’s top aviation engineers and experts to find a way to tackle this immense challenge, unknown in the UK and Europe in living memory. 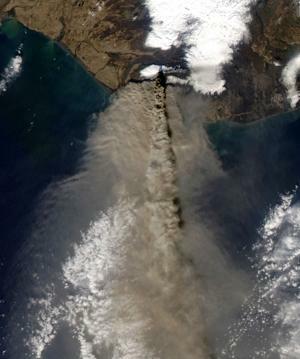 “Current international procedures recommend avoiding volcano ash at all times. In this case owing to the magnitude of the ash cloud, its position over Europe and the static weather conditions most of the EU airspace had to close and aircraft could not be physically routed around the problem area as there was no space to do so. We had to ensure, in a situation without precedent, that decisions made were based on a thorough gathering of data and analysis by experts. “This evidence based approach helped to validate a new standard that is now being adopted across Europe. 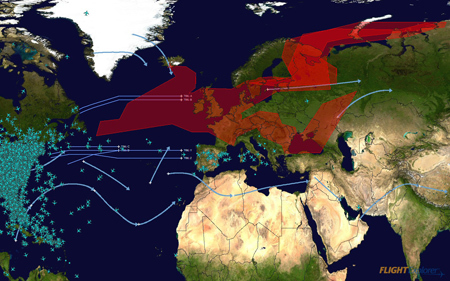 Ash Cloud Permits Some European Flights To Resume. REYKJAVIK, Iceland, April 20 – A new ash cloud spewed from a volcano in Iceland forced Britain to ground flights and operate a nearly flight-free zone Tuesday. Limited air services began operating in Scotland and Newcastle, but aviation officials scrapped plans to reopen the rest of Britain’s airspace as a new ash cloud moved toward the country, The Times of London reported. “The situation regarding the volcanic eruption in Iceland remains dynamic and the latest information from the Met Office shows that the situation today will continue to be variable,” Britain’s National Air Traffic Systems said in a statement. Eurocontrol, Europe’s air regulation agency, expected as many as 60 percent of flights to be allowed Tuesday but while many flights remain grounded, some planes took off from Paris, Amsterdam, Netherlands, and Frankfurt. Air traffic controllers said more than 10,000 of Europe’s 27,500 daily flights were scheduled to fly. To address the situation created by volcanic ash drifting over Europe from Iceland, the European Union transport ministers created three levels of airspace: a no-fly area, a limited service zone and an open skies area after receiving criticism from the world’s airlines who say that it was safe to fly days ago. In Spain, where all airports were open, the government offered European countries use of its airports to get passengers moving again. The International Air Transport Association pegged losses at more than $1 billion since most of Europe’s airspace closed last week because of the volcano. Breaking News Ash Cloud, Which Airports Are Open So Far? THE National Air Traffic Service’s (NATS) latest statement on the Icelandic volcanic eruption – based on the latest information from the Met Office, advises that the current restrictions across UK controlled airspace remain in place until 01h00 (local time) on Tuesday, April 20. Conditions around the movement of the layers of the volcanic ash cloud over the UK remain dynamic. AUSTRIA – Airports expected to reopen 04h00 GMT Monday. BELGIUM – Airspace closed until at least 18h00 GMT Sunday. Main airline, Brussels Airlines, has cancelled all flights until Monday. BRITAIN – Airspace closed until at least 01h00 GMT Tuesday. British Airways cancels all Monday flights. BULGARIA – Sofia and Plovdiv airports open as of 11h00 GMT Sunday. Other airports closed. Transit flights permitted at 8 000m altitude. CZECH REPUBLIC – Airspace closed until at least 10h00 GMT Monday. DENMARK – Airspace closed until 12h00 GMT Monday. ESTONIA – Airspace closed until 12h00 GMT Monday. FINLAND – Airspace closed until at least 15h00 GMT Monday. FRANCE – Bordeaux, Marseille, Nice, Toulouse and several other southwest airports will remain open until at least 13h00 GMT Monday. Airports north of Nice-Bordeaux line remain closed at least until Tuesday morning. Air France said a test flight from Paris to Toulouse on Sunday had ended without problems; tests continuing. GERMANY – International airports shut until 12h00 GMT Monday. Temporary opening permission to Berlin’s Tegel (TXL) and Schoenefeld (SXF) airports to end at 22h00 GMT. HUNGARY – Airspace to remain closed until at least 10h00 GMT Monday, although some flights at the discretion of traffic control may be allowed to take off or land. IRELAND – Airspace closed until at least 12h00 GMT on Monday. Ryanair cancelled all flights to and from northern Europe until at least mid-Wednesday. Aer Lingus cancelled all flights Monday. ITALY – Northern airspace to reopen from 05h00 GMT Monday. LATVIA – Airspace closed until 06h00 GMT Monday. LITHUANIA – Lithuania airspace is now open, Vilnius Airport said on its website on Sunday. LUXEMBOURG – Luxembourg airport closed until at least 16h00 GMT Sunday. NETHERLANDS – Airspace shut until at least 06h00 GMT Monday. NORWAY – Main airport, Oslo Gardermoen, opened for take-offs, but so far no landings. Airspace opened for some traffic north of Bergen, with some northern areas still closed. POLAND – Six Polish airports, including Warsaw, reopened for commercial flights. ROMANIA – Airspace closed until at least 09h00 GMT Monday. RUSSIA – All airports open. Aeroflot is flying to the United States via the North Pole. SLOVAKIA – Airspace closed as of 13h00 GMT on Friday. SLOVENIA – Airspace was opened around 18h00 GMT Sunday and will stay open until at least 04h00 GMT Monday, national news agency STA cited Traffic Ministry as saying. However, the ministry expects it to be closed again because of more ash reaching Slovenia around 06h00 GMT, STA said. SPAIN – The 17 airports closed on Sunday morning by the Spanish airport authorities now open. SWEDEN – Airport authority has opened airspace north of 62 degrees latitude, about 250 km north of Stockholm. The rest remains closed into Monday. SAS said most of its flights on April 18 and 19 had been cancelled. SWITZERLAND – Main carrier Swiss says cancelled all European flights from and to Switzerland until Monday, 18h00 GMT. Swiss also says cancelled all intercontinental flights from Switzerland for all of Monday. TURKEY – All airports open. Planes flying out of the Black Sea cities of Samsun, Sinop and Zonguldak have been advised not to fly higher than 20,000 feet (6 km). 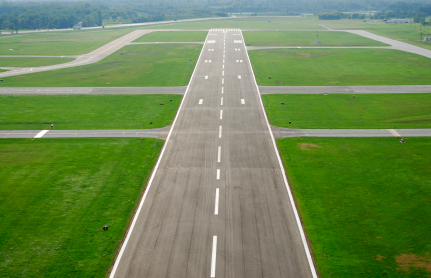 UKRAINE – Kiev’s Borispol airport open. Ash cloud: Scottish airports May open tomorrow? Airports in Scotland will open from 7am tomorrow and England and Wales could follow later in the day. National Air Traffic Control Service said the volcanic eruption in Iceland had reduced and the volcano was no longer emitting ash at altitudes that would affect the UK. “Assuming there are no further significant ash emissions we are now looking at a continuously improving situation,” it said. Nats said restrictions across the UK would remain until 7am on Tuesday, but from that time Scottish airspace would open down to a line between Teeside and Blackpool. It added that there was a chance restrictions to airspace above England and Wales could also be lifted tomorrow. “This is a dynamic and changing situation and is therefore difficult to forecast beyond 07.00 local time; however, the latest Met Office advice is that the contaminated area will continue to move south with the possibility that restrictions to airspace above England and Wales, including the London area, may be lifted later tomorrow,” it said. The latest update is due at 9pm tonight (BST). BAA, the UK’s largest airport operator, reacted cautiously: “The decision to lift airspace restrictions will be taken by others, and as things stand all flights remain suspended,” it said in a statement. U.K. Airspace Closed Until 0600 GMT Sunday! Scientists are warning that activity at the volcano in Iceland has increased and showed no sign of abating —which would seem to be causing more travel chaos to come. Unfortunately, there doesn’t seem to be an end in sight and that the situation is unlikely to change in the coming days. Scientists say that because the volcano is situated below a glacial ice cap, the magma is being cooled quickly, causing explosions and plumes of grit that can be catastrophic to plane engines if prevailing winds are right. Aviation experts are saying that the volcanic plume has caused the worst travel disruption Europe — and the world — has ever seen, except during wars. Anxious passengers have told stories of missed weddings, graduations, school and holidays because of the current situation and some world leaders canceled plans to attend Sunday’s state funeral for Polish President Lech Kaczynski and his wife Maria in the southern city of Krakow. So at the moment most of northern and central Europe’s airspace has been shut down, affecting airports from New Zealand to San Francisco. Today, the French prime minister extended the closure of airspace in northern France until Monday morning. British airspace is closed until at least 0600 GMT Sunday, and forecasters said the ash cloud would progressively cover the whole of the U.K. later Saturday. British Airways is canceling all short-haul flights to and from London airports Sunday. There always seems to be from a black cloud a silver lining, there has been a huge rush on ferry and Eurostar bookings from the U.K. to the Mainland Europe as passengers rushed to book a ride on ferries, in rental cars or taxis. P&O Ferries said its ferry services from France’s Calais to Britain’s Dover were overbooked and there was no space left on their ferries for foot passengers, whilst dozens of people have called in to ask about trans-Atlantic crossings to New York aboard the Queen Mary 2 cruiser. There are more implications due to the flight ban. Shoppers were warned today that continued flight bans could spark shortages of imported fresh fruit and vegetables. Until now there are no shortages yet, but exotic fruit and flowers as well as other products which are usually flown in could be in very short supply. The Belgian and Swiss governments extended their ban until Saturday evening. Italian aviation authorities were closing airspace in northern Italy on Saturday until 1800 GMT. Spain’s Iberia airline is canceling most of its European flights until further notice. In the Nordics, air space in the central and southern parts of the region was expected to remain closed at least until Sunday afternoon. At least 45 flights between Europe and Asia were canceled Saturday. Australia’s Qantas canceled all flights to Europe, and passengers were being offered refunds or seats on the next available flight. The European air navigation safety agency Eurocontrol says that only some 5,000 flights will take place in Europe on Saturday compared to 22,000 in normal circumstances. On Friday, U.S. airlines canceled 280 of the more than 330 trans-Atlantic flights of a normal day. The International Air Transport Association says the volcano is costing the industry at least $200 million a day. In Iceland, torrents of water have carried away chunks of ice the size of small houses. Sections of the country’s main ring road were wiped out by the flash floods. More floods from melting waters are expected as long as the volcano keeps erupting — and in 1821, the same volcano managed to erupt for more than a year, let’s hope that history doesn’t repeat itself or we will be in for a summer of air travel chaos. INFORMATION CORRECT AT TIME OF GOING TO PRESS FOR UP TO DATE INFORMATION WE RECOMMEND THAT YOU CONTACT YOUR AIRLINE. The ash cloud became a menace to air travel as it drifted south and east toward Northern Europe, including Britain, about 2,000 kilometres away.The ash plume drifted at between 6,000 and 11,000 metres, where it could get sucked into airplane engines and cause them to shut down. The smoke and ash also could affect aircraft visibility.Dozens of overseas flights cancelled from across Canada Canadian air carriers have cancelled dozens of overseas flights from across Canada as a cloud of volcanic ash continues to scuttle air travel across northern Europe, the Canadian Press reported. Air Canada says it has cancelled all flights to and from London’s Heathrow airport, Charles de Gaulle airport in Paris and the Frankfurt airport until further notice. Air Transat has cancelled all flights to Heathrow. Experts say the ash, comprised of bits of sand and glass the consistency of talcum powder, compromises pilot visibility and aircraft engines. Both Air Canada and Air Transat are advising travellers to check their websites for future flight status updates. The disruption that stranded tens of thousands of people in Europe began to trickle down to Canada as the day progressed. Just a handful of cancellations were reported at Canadian airports early Thursday, but the number had swollen to more than 30 by late afternoon. The Greater Toronto Airports Authority said a total of 11 flights were cancelled, while authorities at the Aeroport de Montreal said nine of its flights were scrapped. The volcanic cloud scrubbed six flights in and out of the Vancouver airport, four in Calgary and one in Halifax. Non-emergency flights in Britain were cancelled, and most will stay grounded until at least midday Friday. Authorities in Ireland, Denmark, Norway, Sweden, Finland and Belgium also closed their air space. France shut down 24 airports, including the main hub of Charles de Gaulle in Paris, Germany’s Berlin and Hamburg were shut Thursday evening. Britain’s air traffic service said late Thursday it was extending a ban on most air traffic until 1 p.m. local time (8 a.m EDT) Friday, but flights to Scotland and Northern Ireland may be allowed to resume before then. In addition Lufthansa has cancelled 17 North American flights to Frankfurt today as a result of deteriorating weather conditions in Germany caused by an Icelandic volcanic ash cloud. Please note that due to the evolving weather situation, Lufthansa has added that additional flight delays and cancellations are possible. Customers can rebook free of charge by calling Lufthansa reservations at 1-800-563-5954 in Canada or 1-800-645-3880 in the U.S. Passengers can also check lufthansa.com for an updated list of flight cancellations and additional information. As a result of the recent volcanic eruption in Iceland all airlines flights to and from Scandinavian and U.K. airports have been disrupted. Icelandair does not know if further disruptions may occur. However, they have provided up to date information on any flight delays or further cancellations on their website icelandair.com. Two additional flights to Glasgow have been added to accommodate passengers heading to the U.K. Since the ash is blowing eastward, many Icelandair flights have operated on schedule or with slight delays including flights to/from Frankfurt, Amsterdam, and the U.S. It is recommended that passengers check their flight status before departing for the airport. Affected passengers should contact our Icelandair customer service line +354 5050300 in Iceland or 1-800-223-5500; prompt 2 for North America. A full refund of unused flights, if travel has not commenced. – Travel must be completed within ticket validity or within three months from the original flight, whichever is longer. – The return flight, if applicable, can be re-booked at the same time. – Passengers on through tickets involving other carriers must notify us before travel commences. Passengers with connecting flights issued on separate tickets must make their own arrangements with the other carrier including the payment of any additional costs and amendment fees. – Passengers on package holidays must refer to their tour operators who may not operate the same policy. Passengers should also be aware that any applicable refund would only relate to the airfare portion of the inclusive package and not the whole cost of the holiday. To recap, passengers scheduled to depart on an Icelandair Holidays package through April 18, 2010 will be offered a full refund with no penalty. Volcanic Ash Causes U.K. Airport Chaos. More disruption to B.A. flights but this time not due to cabin crew action, this time it’s a natural disaster. Airports in the U.K. and northern Europe shut down as a cloud of volcanic ash swept south from an eruption in Iceland, disrupting travel for thousands of people booked on flights. U.K. airspace is closed until at least 7 a.m. tomorrow, according to flight-control body National Air Traffic Services, while Norway and Sweden also shut airports as the ash threatens to stall jet engines and affect the air quality in plane cabins. British Airways scrapped flights for the rest of the day as well as other major carriers. Iceland’s 5,500-foot, ice-covered Eyjafjöll volcano erupted for the second time in four weeks, prompting the evacuation of more than 800 people as river levels rose three feet. At the moment there is no indication of how long it will take to clear. Disruption was worst in the U.K., which has more than 5,000 flights a day. Flights from the U.S. should have been grounded from 7 a.m. eastern time, coinciding with the closure of Britain’s skies, and any planes already in the air would be diverted elsewhere. British Airways, Europe’s third-biggest airline, said it can’t be sure that services will resume tomorrow. Customers booked to travel on a canceled flight will be able to claim a full refund or rebook for a later date. The latest eruption is a further blow to a country struggling to rebuild a crippled economy after financial collapse prompted the world’s fifth-richest nation per head in 2007 to turn to the International Monetary Fund.